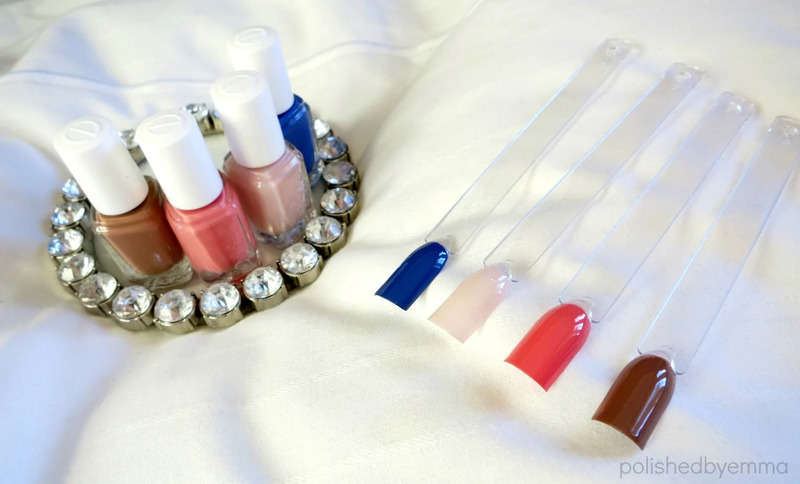 Essie's Resort collection is absolutely stunning. I decided to go with the mini bottles to try it out, and i definitely wish i bought the bigger bottles but only for two of the polishes. 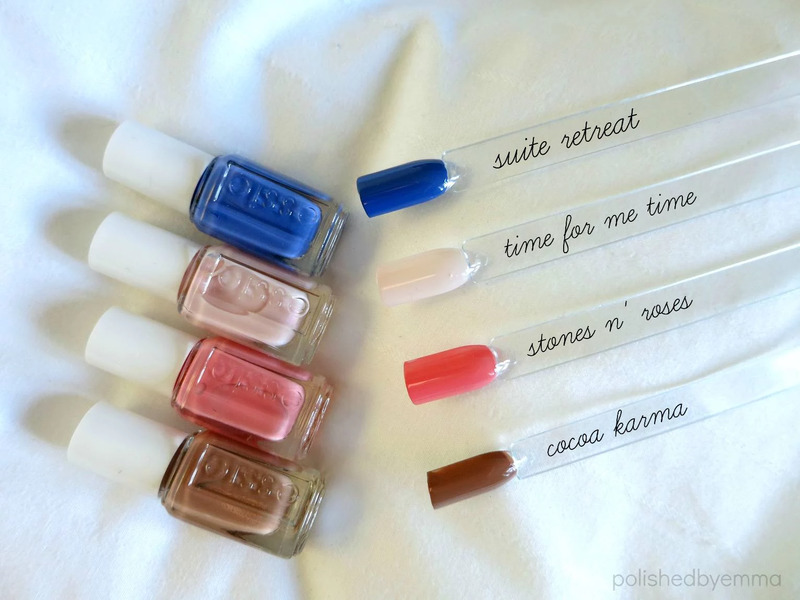 Resort 2015 contains 4 polishes: Suite Retreat, Time for me time, Stones n' roses and Cocoa karma. 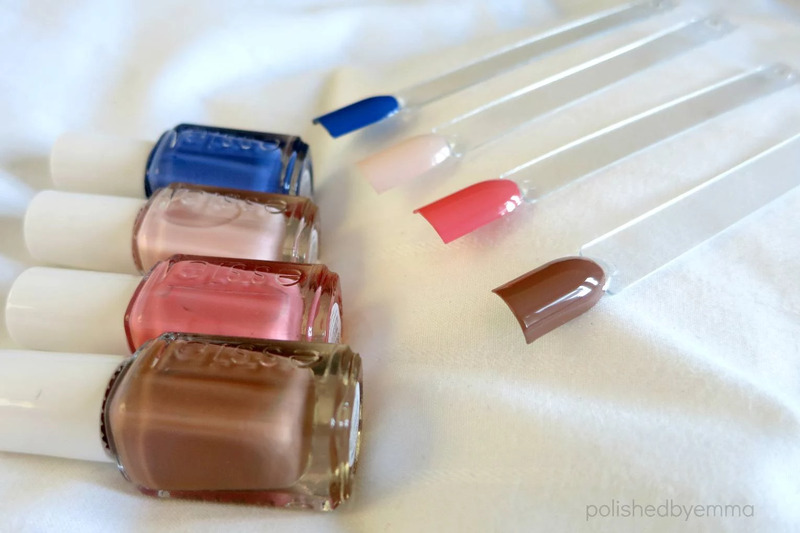 I've done swatches for each polish, and I will also show you on my nails. I've really had my ups and downs when it comes to my nails. I've always been interested in nailcare, nailart and so on, but haven't always had the chance to do anything included nails. I always polished and took care of my nails two years ago until I started working in a restaurant, and obviously we werent allowed to wear nailpolish. 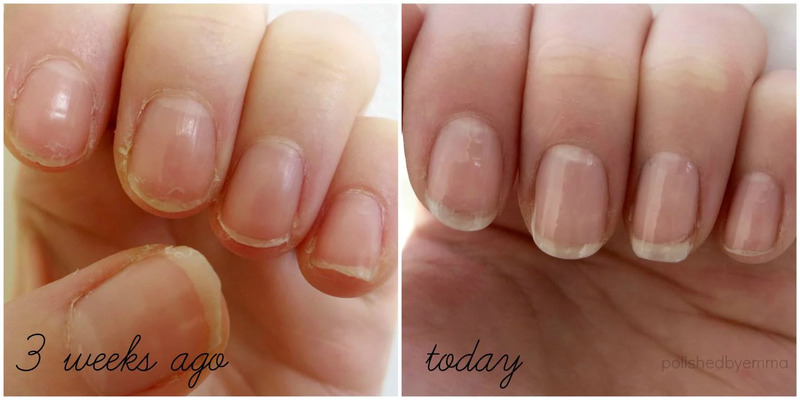 My nails got really brittle and weak, we were always in water and really bad conditions, and you could tell if you looked at my nails. I just stopped completely to take care of them because it seemed impossible. Recently I started a new job in a spa and now its a must to have your nails looking clean and polished. I started taking care of my nails again and also started up my instagram and blog once again. So i thought i would share the progress with you. It's three weeks between the pictures and in the after picture im just wearing a clear base polish. For me its a huge difference, they're so much stronger and not as brittle, not completely how I want them to be but, definitely better. If you are interested to know a little bit more how and what products I used, I will make a post showing a little bit more. 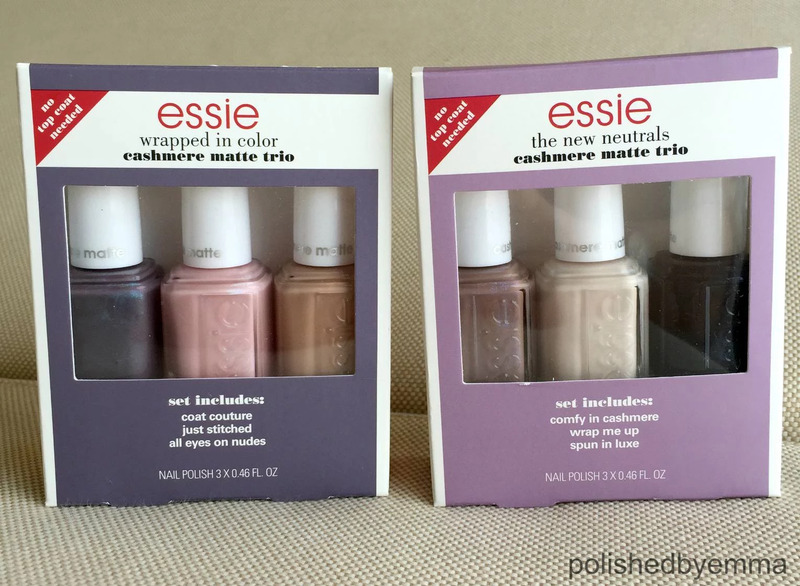 I ordered the Essie Cashmere matte and Essie Resort collection a while ago and it finally arrived! 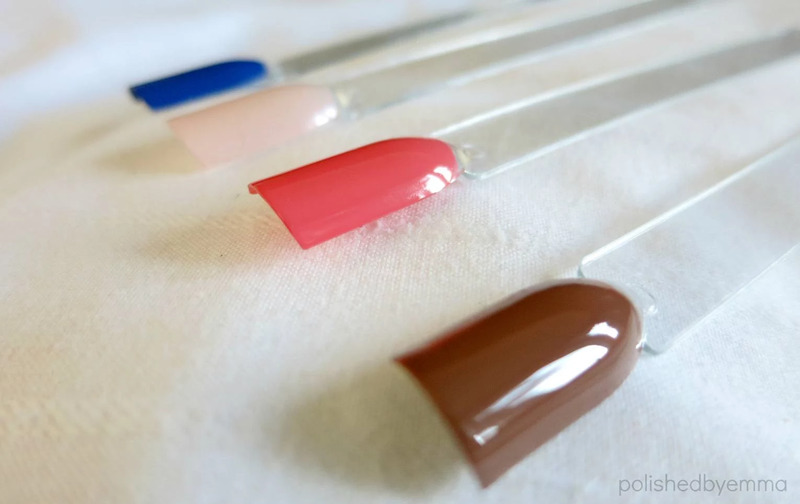 Going to upload swatches and more pictures of the colors soon.